What is there not to love about Italy? From the delicious food, beautiful ancient architecture and fabulous style. All the cities in Italy have a different take on each of these, which makes travelling across the country such a treat for all the senses. 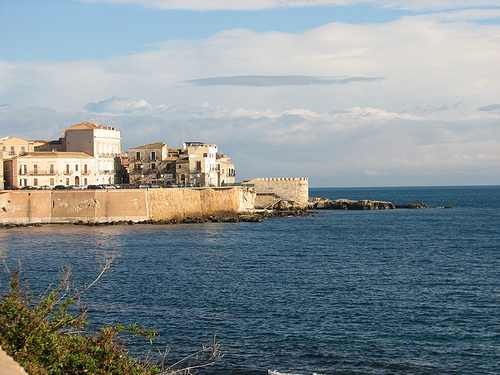 Over the years, I have visited many parts of this fabulous country, but my favourite part of Italy would have to be the island of Sicily. 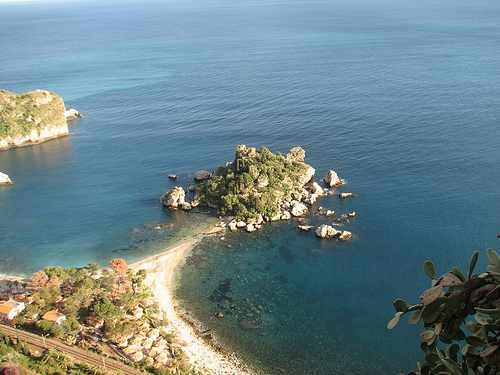 Notorious for its mafia, there is so much more to Sicily than its underworld. 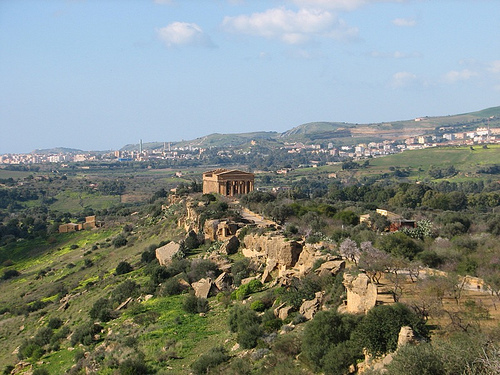 Sicily is home to some fabulous ancient Greek and Roman ruins that are dotted around the island. From the beautiful Valley dei Templi in Agrigento where I wandered around exploring the architecture to the stunning Teatro Greco-Romano in the sea-side resort of Taormina. 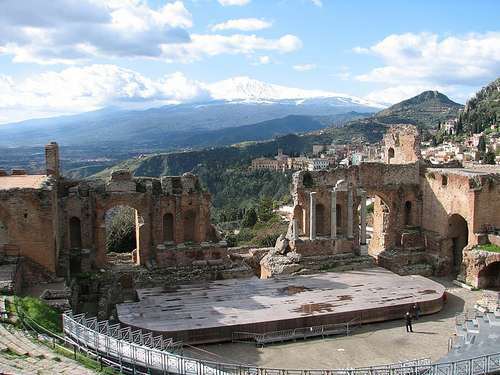 I last visited Sicily in the winter of 2010, the air was crisp but it didn’t dampen my enthusiasm. Whilst many come to Sicily in the Summer to enjoy the seaside, personally I liked the peace and quiet of the winter. At one point in time in the small seaside town of Siracusa I was the only person staying in my hostel, it was so decadent having the entire space to myself after I had shared dorms in hostels for the previous 6 weeks. The towns that are located along the coast are just stunning even in the winter. The Ortygia in Siracusa was my favourite, but the view over to Mount Etna from Taormina is also hard to go past. But for anyone who has read my blog regularly it will be no surprise that some of my favourite memories of Sicily involve the food. Homemade Italian dishes such as Pasta con le Sarde (Pasta with Sardines) which is traditionally made with fresh fennel was just incredible. I recall enjoying a meal of this alongside some salty olives and glass of red wine. A friend has suggested that I finish off my meal with the local digestive Averna, so I felt obliged after all when in Rome and all that. Averna is a black coloured rather bitter liqueur made from herbs, citrus rind and a dash of caramel. What makes Averna perfect after a heavy pasta meal is that it really is a digestive; it didn’t take long for me to feel hungry again and ready to try some more delicious produce. In the capital city of Palermo I met a lovely French Canadian lady who shared my love of food. Setting out for a meal one night, we took the recommendation of our hostel owner and went across the road to a traditional trattoria. Here traditional Italian recipes were transformed into homely plates of yum. The staff at the restaurant couldn’t speak English, and our Italian was rudimentary, so we used the best menu chooser available… our eyes. We just sat in the restaurant and watched the plates of other diners go past us, selecting what we wanted to eat based on what we thought looked good. The restaurant staff thought we were hysterical! That meal was just incredible though. From fabulous seafood, an unusual burger of kinds and some fresh pasta. We finished our meal with a crunchy cannoli filled with some sweet and creamy ricotta. I have never had ricotta like that again, reason enough for me to go back to Sicily sometime soon.